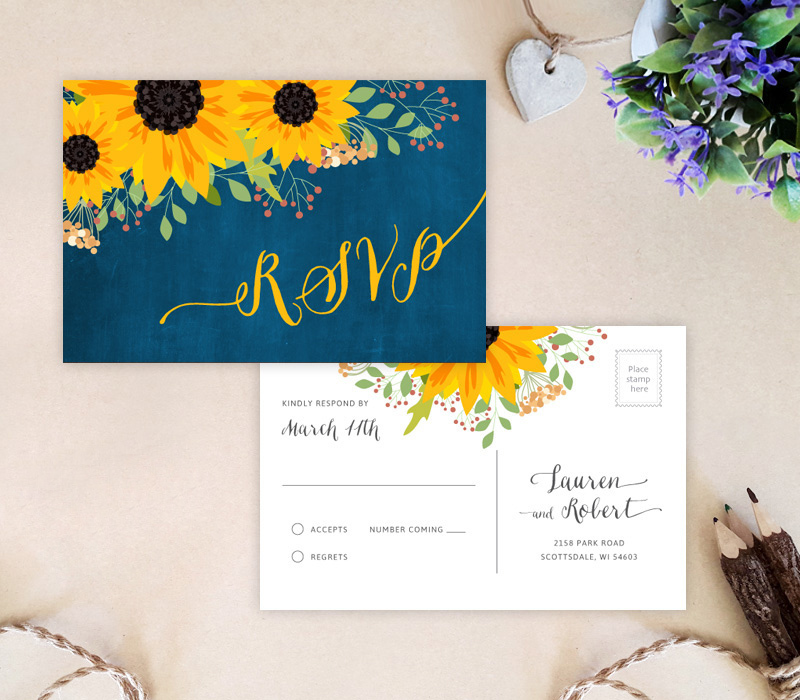 Invite those you love to your rustic country wedding with our Sunflower Themed Wedding Invitations. 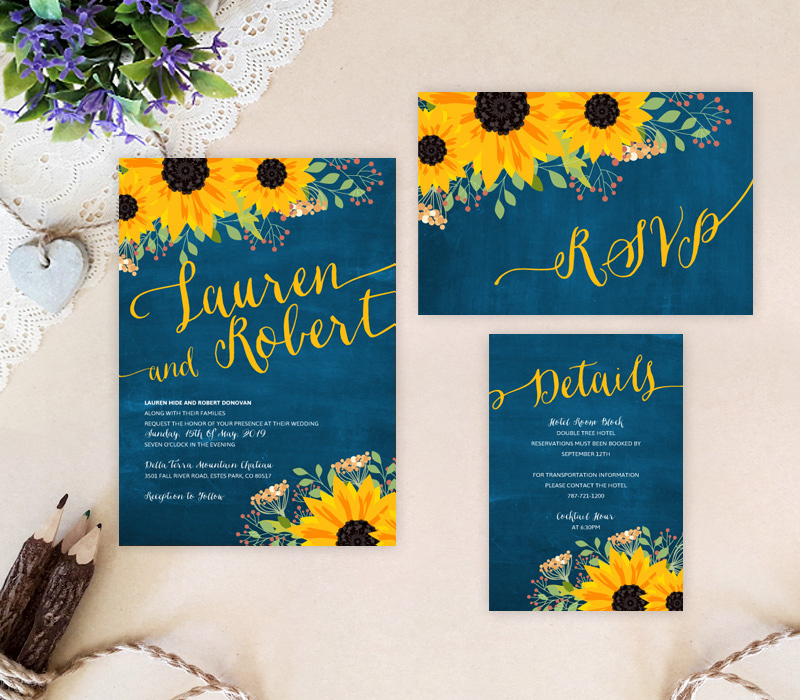 Our invitation set will warmly inform your family and friends of all the details surrounding your upcoming nuptials. 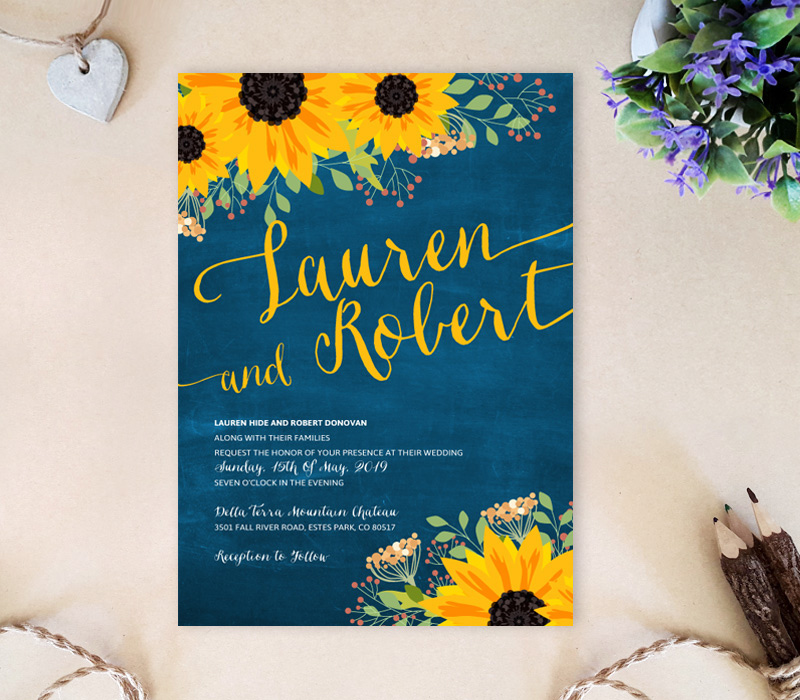 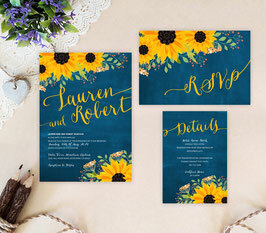 Sophisticated with a touch of shabby chic, our sunflower wedding invitation features exquisite calligraphy surrounded by yellow sunflowers on a royal blue chalkboard-style background.